Nothandolwakhe Mthandeki is stressed that she might be homeless during Christmas. The 48-year-old from Lower Crossroads, Cape Town, lives in another family’s house and they want it back. 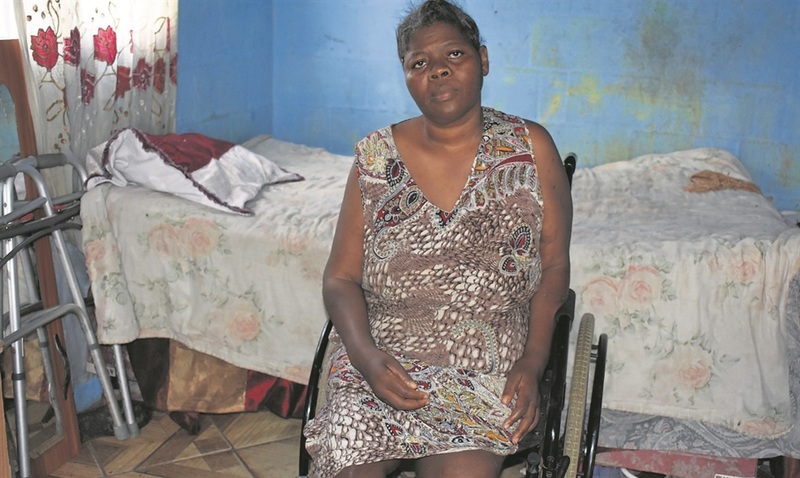 She couldn’t build herself a shack because of her condition and money problems. Her Sassa disability grant was temporary, adding to her stress. She had applied for one every six months, even though her condition wasn’t improving. Human settlements spokesman Ntomboxolo Makhoba-Somdaka said the deparment prioritised people living with disabilities. She said Nothandolwakhe received a temporary disability grant that was approved based on her medical assessment and recommendation by a medical doctor. If she was unhappy with the outcome of her grant application, she could request an internal consideration within 90 days of the outcome letter being handed or delivered to her.